I was closing in on completing seeing a game at all 92 grounds. Today would be my 88th, leaving just Liverpool, Manchester City, Sunderland and Burnley to do. I had considered Peterborough United as one of my top choices of opponent, due to their attractive football. And luckily, the fixture fell right, coming when Wycombe had a game at Accrington, a ground I had been to many times before. So about a month before, as soon as tickets were released, I bought a ticket to sit with the Peterborough fans. At £13 it was a decent price. Sadly The Posh were struggling along at the bottom of the league and chances of a win looked slim. 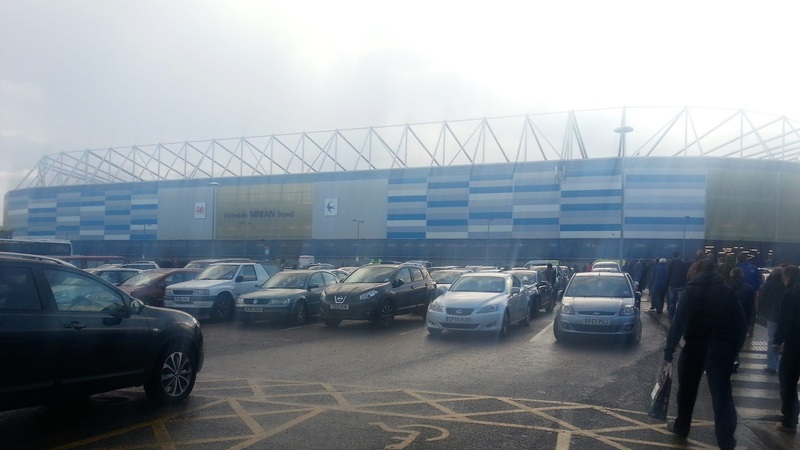 However, they were unbeaten the last 2 times I had seen them drawing 2-2 at Coventry and beating Portsmouth 3-2. On the day I left around 8.40am, stopping off to fill up with petrol and get a paper. I went up through Oxford and across that way to avoid the Severn Bridge Toll charge. After a fairly pleasant journey, I was in Cardiff just after 12. Google Street View had proved useful in highlighting streets where I could park without any issues. I aimed for somewhere in between the ground and the Chapter Arts Centre, my intended drinking place for the day. But upon driving there, it had all been changed to residents parking and after driving around aimlessly for 5 minutes, I programmed in the Chapter and struck gold, when there was a space without restriction almost outside the place. I went in, hoping to find some of the Welsh cider Hallet's but was left disappointed. I had to make do with Weston's Perry, which I had had before but was still nice. I fired up my CAMRA app and found another pub called The Conway, which was more of a restaurant really, with meals around £11 each. I settled for a pint of Westons mulled cider, all warmed up too and that was nice also. 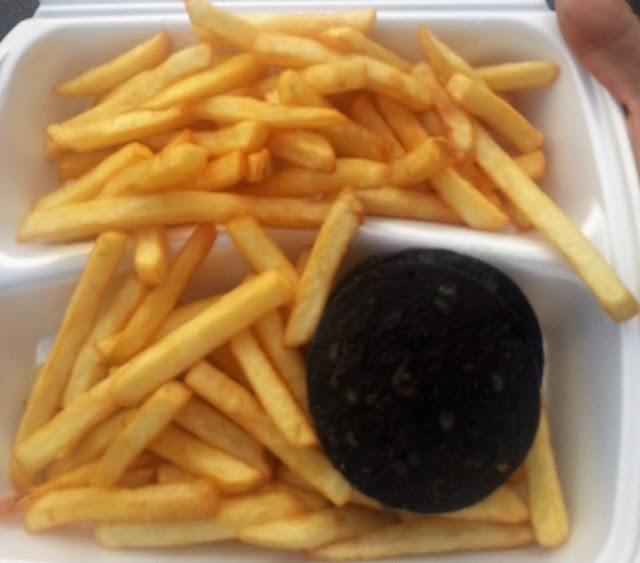 By that time, it was approaching 45 minutes to kick off, so I made my way to the ground, stopping off to buy Black Pudding and Chips from a local cafe for the very reasonable price of £1.90. I got to the ground with a couple of minutes to spare before kick off and found a spare seat near the top of the stand. Sadly my Posh supporting mates Sam and Jordan were not there to join me, but their fans were friendly all the same. I had to deal with the confusion of Cardiff playing in red, thanks to the ludicrous decision to change their strip during the summer, from the traditional blue. It was not helped by Peterborough playing in blue - with the blue stadium seats, it was easy to get mixed up. I have always loved watching the Posh, thanks to their attacking style of football. Having seen a 2-2 draw when ticking off Coventry's Ricoh Arena and also a 3-2 win at Portsmouth, I was keen to see if I could do my remaining Championship grounds against them. 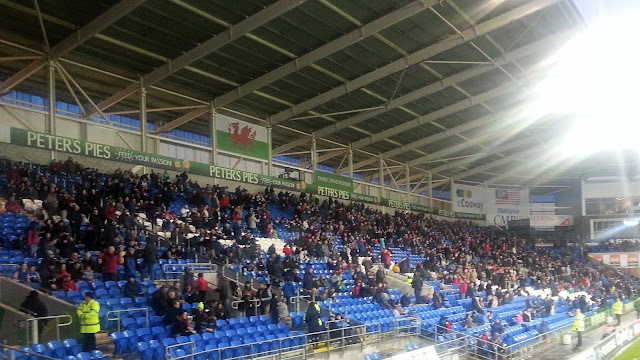 It was Cardiff who made the early running. They had a goal ruled out for offside and it seemed like it was going to be a backs to the wall job for the visitors. But Peterborough started to get back into it and took the lead on 25 minutes when Michael Bostwick smashed in a great free kick. 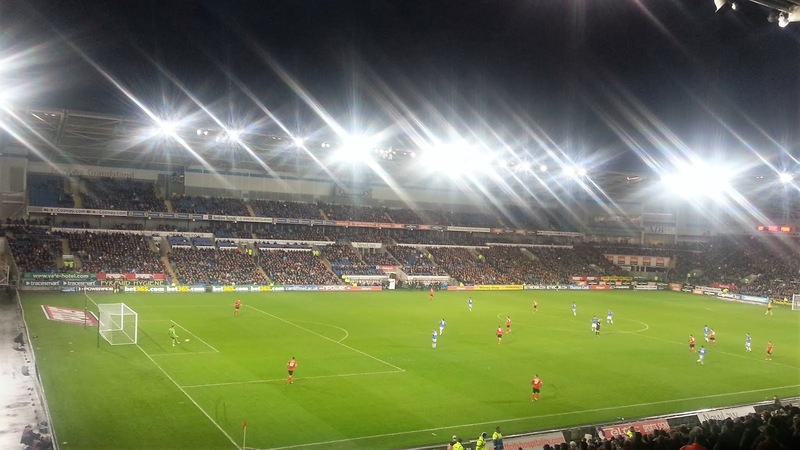 For the rest of the half the game was even, Craig Bellamy coming closest for Cardiff. 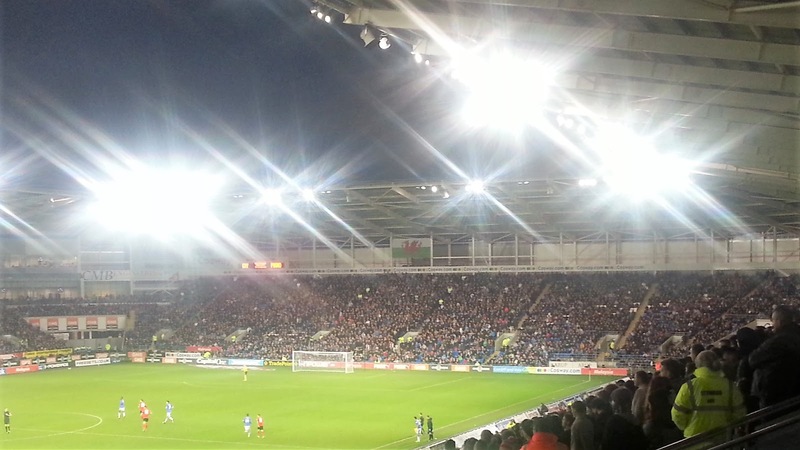 For the start of the second half, and indeed for the start of the game too, the Welsh Anthem "Land of Our Fathers" was belted out enthusiastically over the tannoy. If they were hoping it would inspire the hosts into action they were wrong. Just 2 minutes into the second half, Peterborough doubled their lead. Sloppy defending from the home sides own free-kick allowed Posh to break quickly down the field. George Boyd found Lee Tomlin whose cross was put away by Dwight Marshall. This sent the visiting supporters into dreamland, as a rare win in the most unlikely game seemed on the cards. And they could and should have had more, with lots of chances going begging and even a goal being chalked off for offside. It wasn't until 88 minutes that Cardiff showed any signs of getting back into the game. By then it was too late, despite Gestede's late goal, Posh held on through a ridiculous 6 minutes of injury time. Alex Ferguson is well known for his teams getting generous amounts of injury time, but the boot was on the other foot for his son Darren. 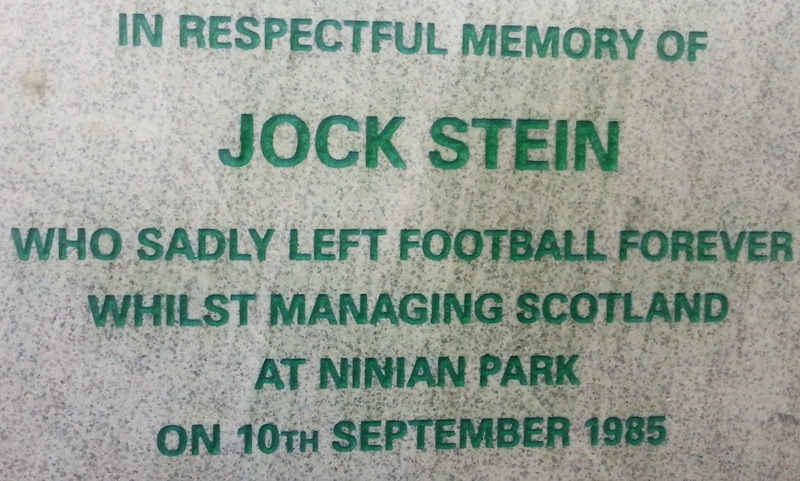 Happily, though the team held on for the result. And good news from Lancashire too, as Wycombe triumphed 2-0 at Accrington, with goals from Bruno Andrade and Matt McClure, who was also sent off for 2 yellow cards. All in all, it had been a great day. As I have stated above, I really enjoy watching the Posh. As ever it was a cracking game and I shouted and cheered as loud as any fan in the stadium. Strange, as I normally find it hard to get excited apart from when it is Wycombe playing. 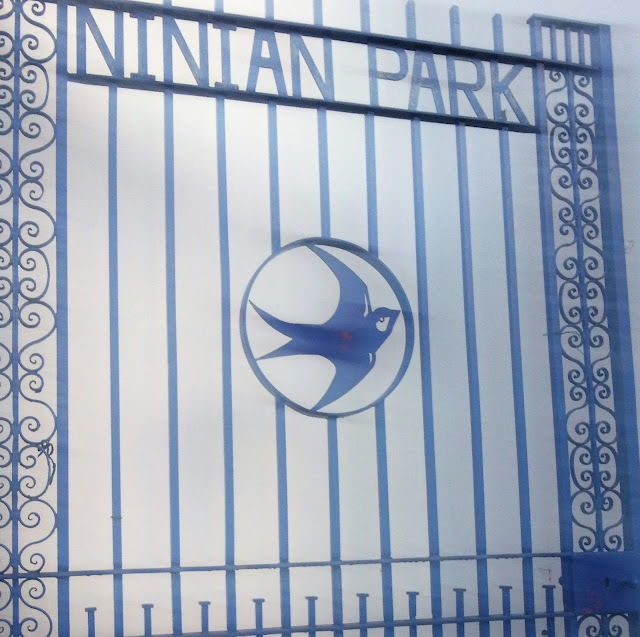 Also from the small part of Cardiff that I explored, it seems a decent capital city and gone is the intimidation that away fans faced at the old Ninian Park, with no sign of trouble today. After walking back to my car, it was nearly 5.30. I made good time on my way home, only stopping for the toilet at Leigh Delamere services. I arrived back just before 8, leaving a few hours to relax before I went to sleep. 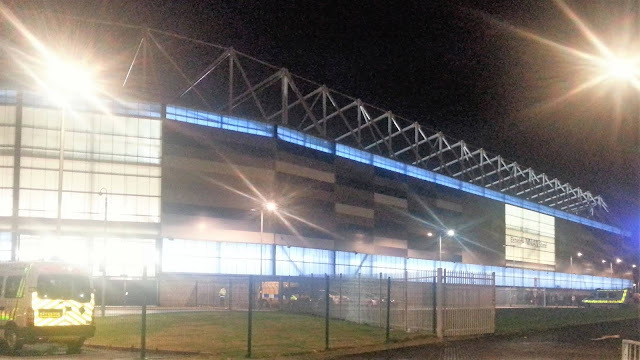 CARDIFF CITY STADIUM is one of the better new builds and was built opposite Cardiff's old home of Ninian Park in time for opening at the start of the 2009/10 season. It holds just shy of 27,000 and seats all fans comfortably with good leg room and decent views. Their can be quite a good atmosphere created within the ground, thanks to get good accoustics. Catering is your standard football fare, with Brains beer being served, but sadly only Strongbow cider. Given how patriotic the club is, it's a shame they can't get a Welsh cider, as the quality would be so much nicer, and it would help the local economy. There is a large club shop at the ground, but I didn't have time to check it out. There are plenty of local takeaways and pubs to try out. My personal recommendation is the cafe opposite the Co-Op and the Brains owned pub "The Half Way" which does local cider, albeit in bottles. It also does reasonably priced food and has Sky Sports. showing all the live games.